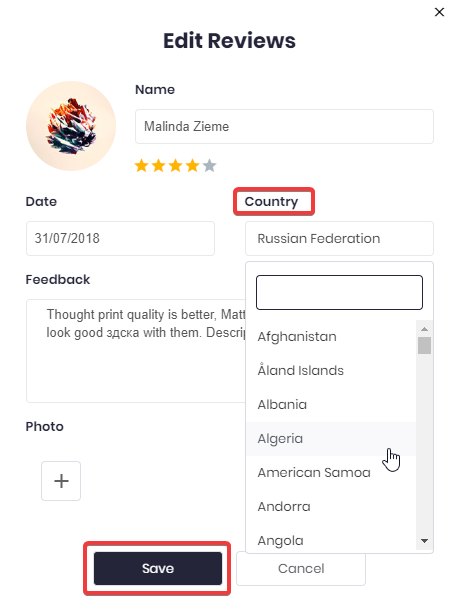 Can I edit country of reviews? Go to Manage Reviews > Click on the name of product to open the windows reviews of that products > Click on Edit button. In this section, you can modify the countries. I hope this might be cleared your issues. Thanks for your patient on reading this instruction! *NOTE: This Editing only worked for reviews by reviews, not bulking all the reviews at the same times for that specific products.